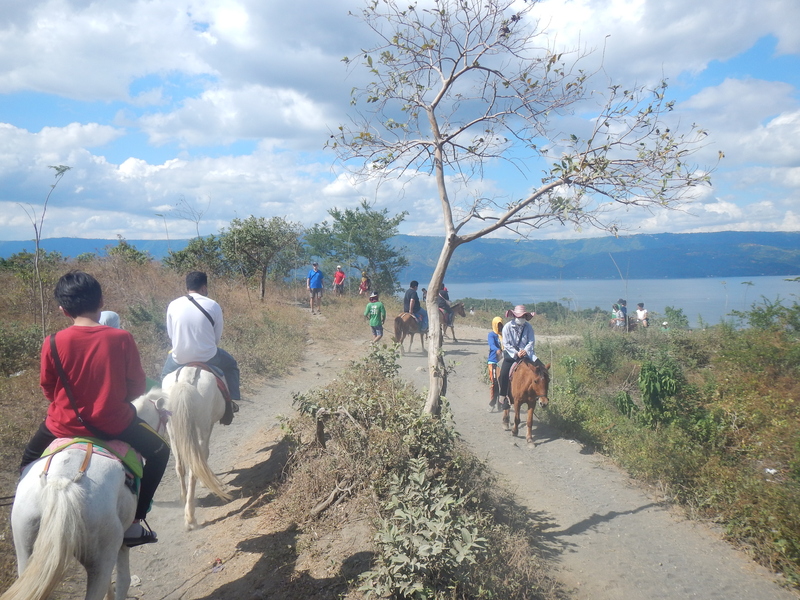 The donkeys waited single file in the blazing midday sun at one end of a concrete lot at the trailhead to the Taal Volcano. Nearby, my wife and I applied healthy doses of sunblock and bug repellant, strapping on the surgical masks we’d purchased to combat trail dust. “I want the good one,” my wife called out as we approached the animals. She straddled a slightly off-white donkey that appeared marginally taller and stronger than the others. My wife’s co-worker, a visiting Minnesotan who came along for the ride, picked the second-best option. That left me with Jerome, the shortest and least capable looking donkey in the lineup. Brown coat, black mane, burned out. 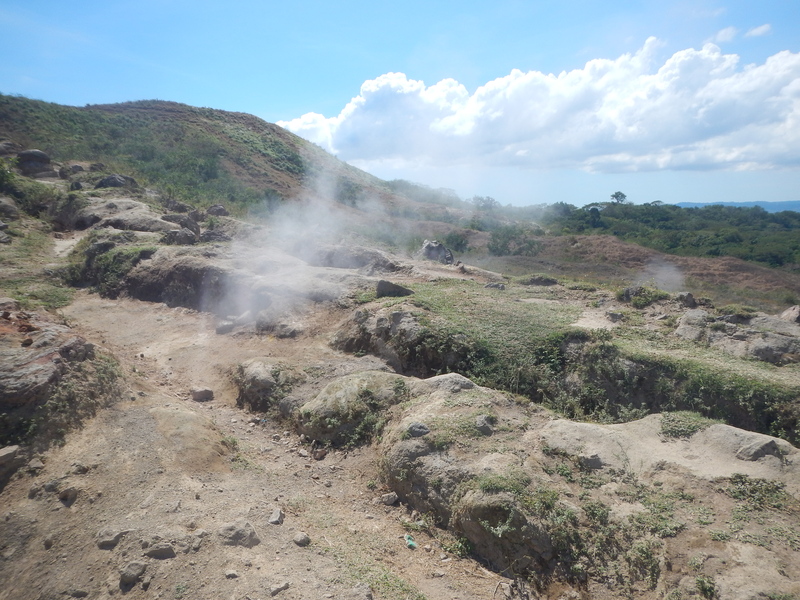 We rode ahead in the dust, joining a line of tourists on an uphill climb to the world’s smallest active volcano. 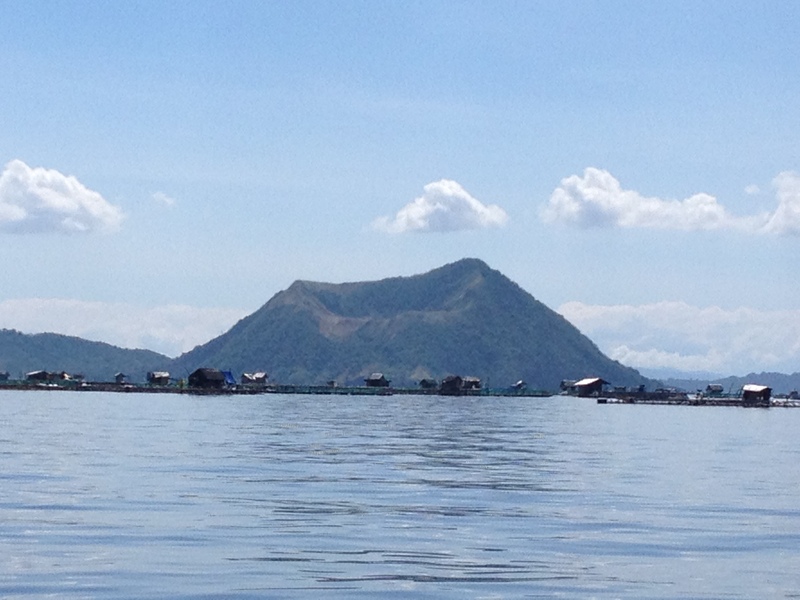 The most recent period of volatility at the Taal Volcano occurred between 1965 and 1977. The biggest blast on record came in 1754, which destroyed the town of Taal and killed thousands. At just over 1,000 feet above sea level, the volcano sits on an island in the middle of Lake Taal, a gorgeous body of freshwater roughly two hours south of Manila. 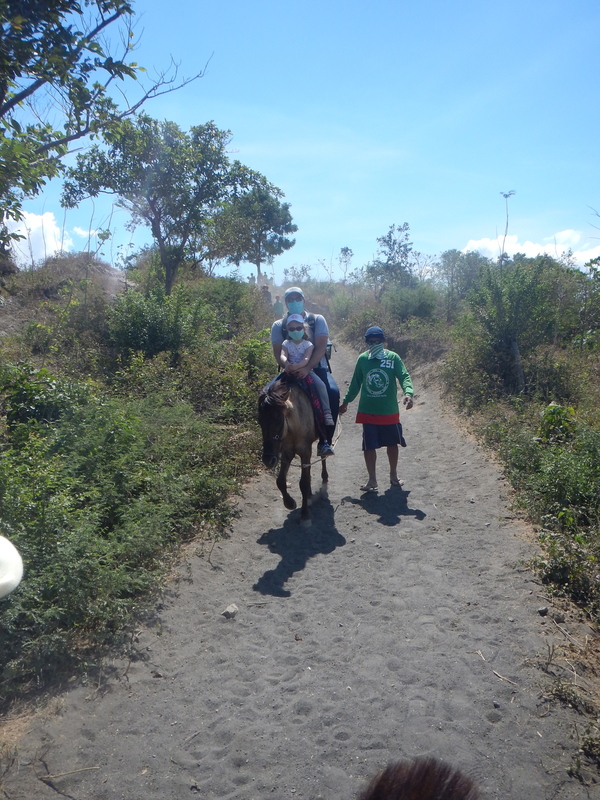 Filipino jockeys escorted each of our donkeys on the upward march. Wearing flip-flops, they steered the donkeys by rope, leading the animals over increasingly steep, rocky terrain. They jogged alongside the donkeys at times, grunting encouragement, slapping the animals on the hindquarters as necessary. As we neared the top of the climb, sulfur steam escaped from small fissures in the ground beside the trail. The sun beat down mercilessly. After a half hour in the saddle, we dismounted near the rim of the crater. 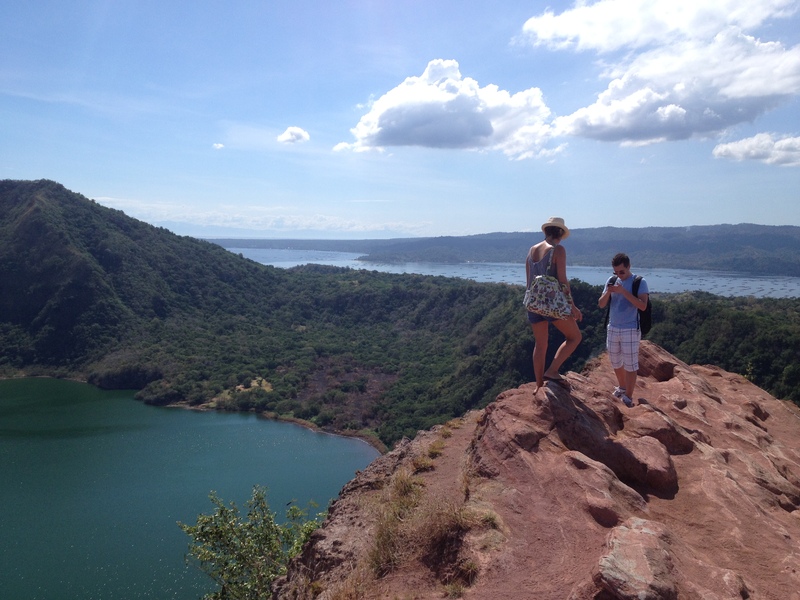 We scrambled up a series of steps that led to a vista, where local venders offered cold soft drinks, water, or, should we be so inclined, the opportunity to drive a golf ball into a lake at the bottom of the crater. I thought about it briefly, but decided that the environmental recklessness of the act outweighed the momentary thrill of whacking a golf ball over the cliff. Instead, we relaxed in the shade for a bit, then walked out along a narrow footpath at the crest of the rim to take in the stunning scenery. As our cavalry made its descent, Jerome began to labor noticeably. It felt as if my weight were almost too much for the poor donkey. As I attempted to snap photos in the saddle, Jerome’s front hooves teetered on the brink of collapse. My jockey also seemed to be working against me, timing Jerome’s gallops and turns right as I readied the camera for my next shot. Thankfully, Jerome summoned the strength to get me down the hill in one piece. I dismounted back at the concrete lot, my thighs burning, my skin caked with a gritty film of dirt and sweat. I gave my jockey a tip, then tried to pat Jerome on the head. The donkey sharply angled his neck to avoid my hand, and shot me a hard stare. The view from the ridge was definitely worth the extra effort. And I’m sure Jerome appreciates the fact that you hoofed it yourself. Thanks for the comment, Girlie R.